I am getting ready to make a huge shop renovation. Awesome new stuff is coming soon. Brooches, headbands, more bobby pins, earrings and more! The shop has been open for a little over a year now. I have learned so much. I am ready to share all the new stuff with you. The shop renovation will also include a new SALE section. To make room for new inventory, I am offering 20% off all purchases from now until June 30th! Enter coupon code RENO2011 at checkout to receive 20% off instantly. 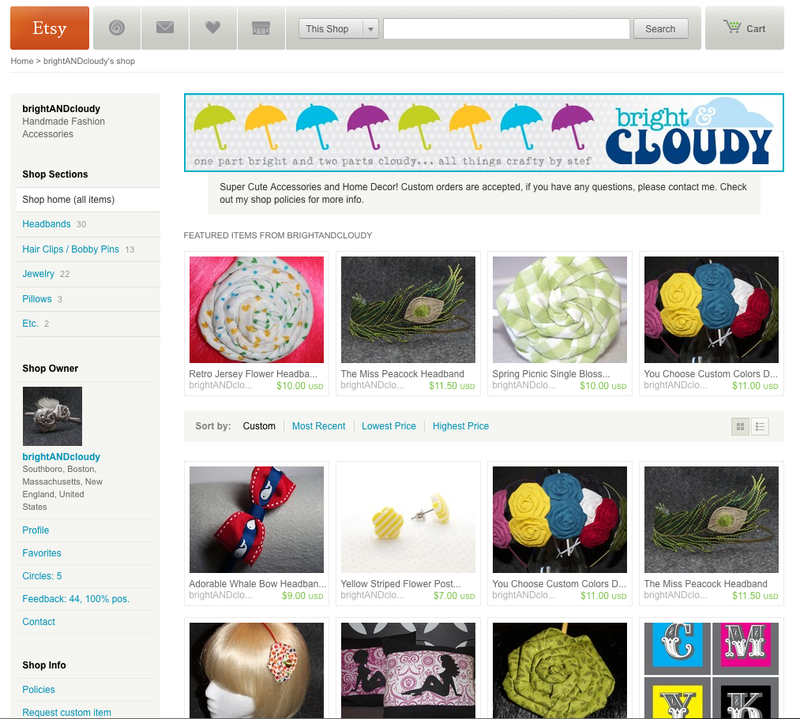 So head over to brightandcloudy.com today!